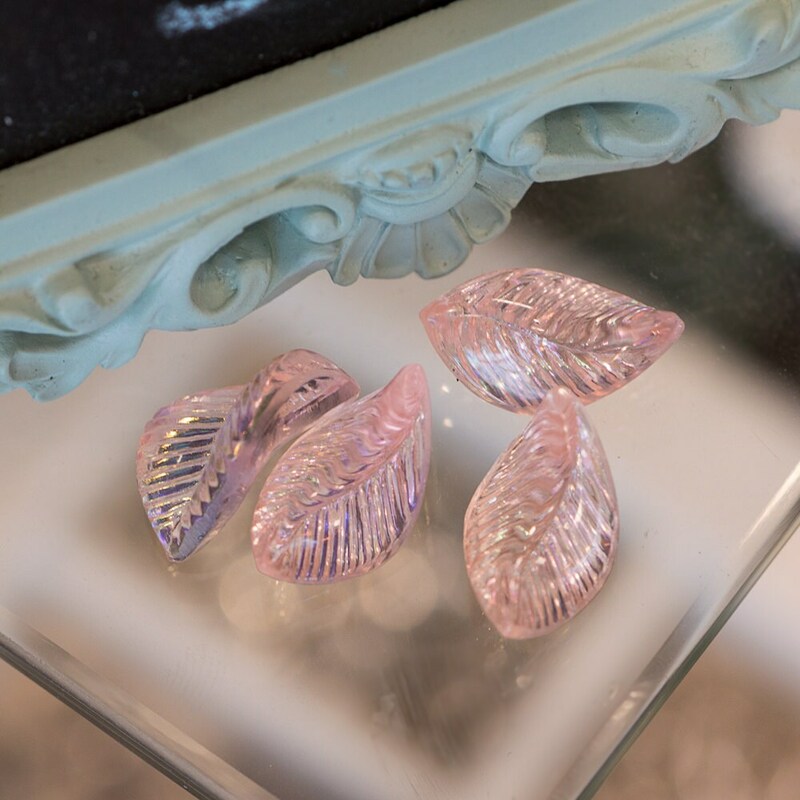 These are vintage glass leaves that were made in Western Germany. 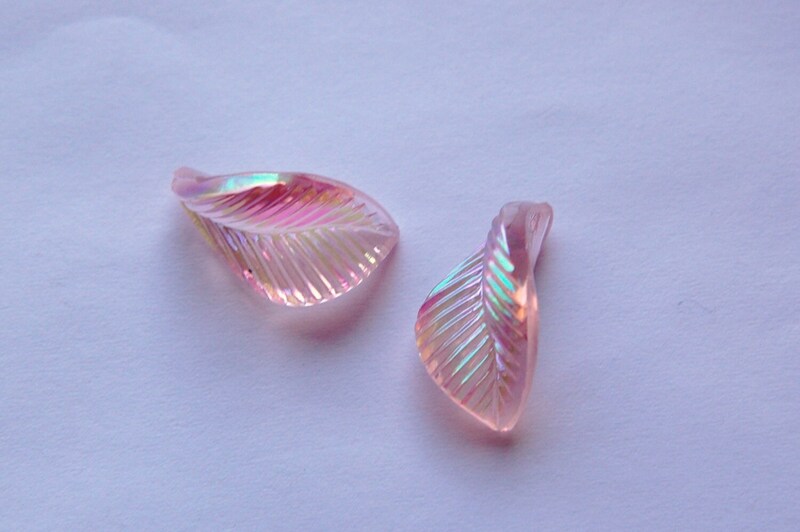 These large curved leaves are pink with an iridescent or AB finish. They are textured on one side and smooth on the other. 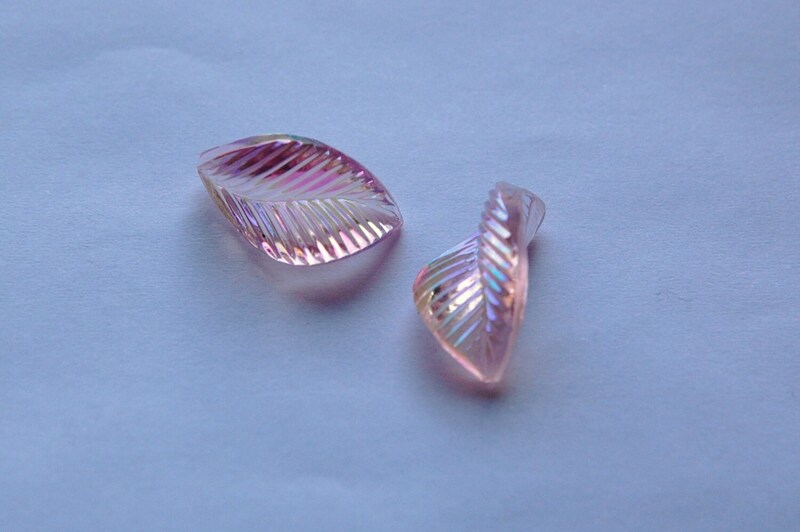 These do not have a beading hole. They measure 20mm x about 11mm. You will receive 4 of these.